With the assistance of our team of experts, we have been able to offer a wide range of superior End Mills in the market. The range of Gear Shaper Cutters is manufactured using high-grade raw material, which is procured from the trusted sources of the market. 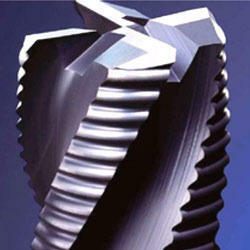 We are instrumental in offering superior quality range of Taper Shank End Mills to the customers. These products are widely used for roller chain sprockets, thus, highly demanded in the market. These are offered as per customer specifications. 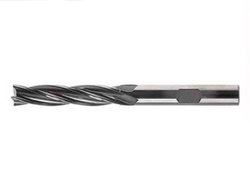 Provided to the customers is a superior quality range of Ball Nose End Mills as per their specific requirements. These products are widely used for timing pulleys with straight sided or involute teeth efficiently. These are offered at market leading price. Custom made End mill cutters can be had on request. We have gained expertise in offering a high quality range of Roughing End Mills to then customers as per the market demand. Moreover, we offer these Worm Wheel Hobs to the clients in perfect packaging, which is done in compliance with the international set standards. Provided to the customers is a superior quality range of Gear Hobs as per their specific requirements. 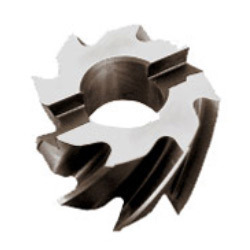 These products are widely used for timing pulleys with straight sided or involute teeth efficiently. Moreover, we offer these Worm Wheel Hobs to the clients in perfect packaging, which is done in compliance with the international set standards.